Published on January 24, 2011 by Wade Shepard Follow me on Twitter here. 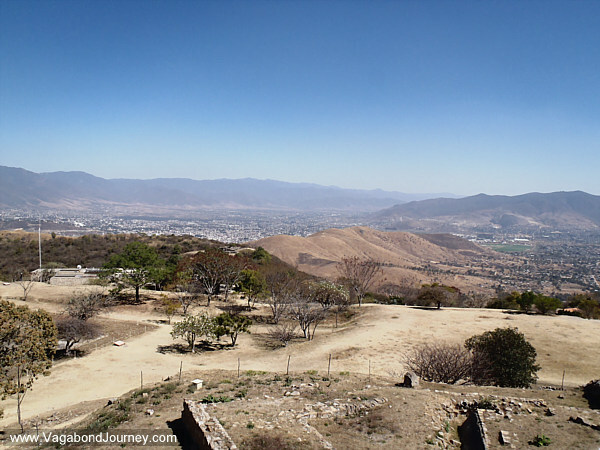 OAXACA, Mexico- Monte Alban sits on a flat top, mini plateau that has a 360 degree view of the surrounding Oaxaca Valley and far off into the Sierra Madres in the distance. Beautiful. They were often built in truly spectacular locations. Who among us would not want to walk up the mountain peaks of Peru, go into the jungles of Guatemala, sit in the hills of the Fertile Crescent, weave in between the natural sandstone maze of Petra, or spend a day walking along in the Nile Delta? Simply put, there are reasons to visit archaeology sites that go beyond history — they were often made in good places to be. The greatest of all archaeology sites could be positioned in East LA, but who the hell would go there to visit? Not me. 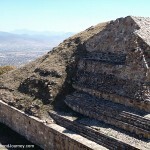 I can think of few better things to do than walk up a mountain and check out some ancient ruins. 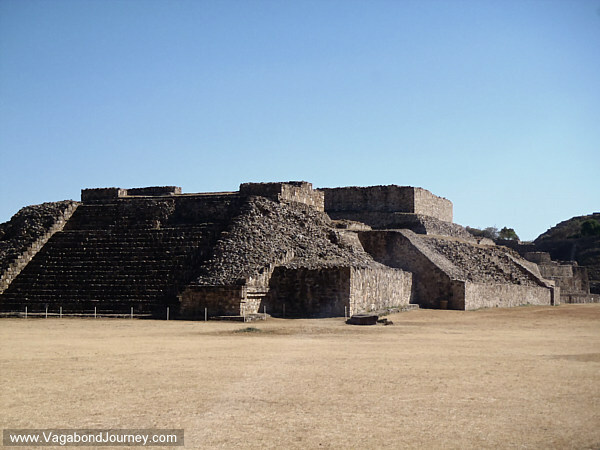 The ancients truly knew what they were doing when building their ceremonial sites. To get close to God, to study the heavens, to spot game, or simply for defense, the people of the past went up — they went up the highest reasonable hill or mountain they could find and built their masterpieces. Archaeologists are programed to spot hills, or, more poignantly, ledges or flat surfaces on top of hills. I once rode in a car through southern Turkey with a prominent archaeologist. I sat watching as he pointed out each hill in the distance and told me what had been discovered inside of it. On hills, always on hills. Like many lizards, snakes, birds, and most other primates, humans seem to feel most comfortable when above the landscape — when we have a clear view from high above. 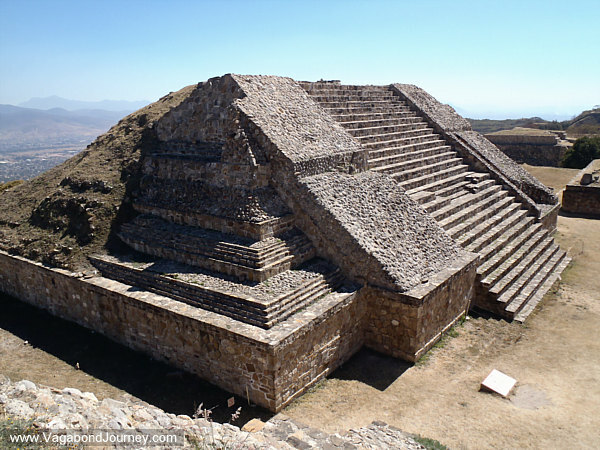 Monte Alban is a perfect example of this: it is built on a lone ridge rising up from a deep valley. The holy is all too often found up high, for what else is there to do on top of a mountain than pray? Get drunk? Study the constellations and the heavens above? 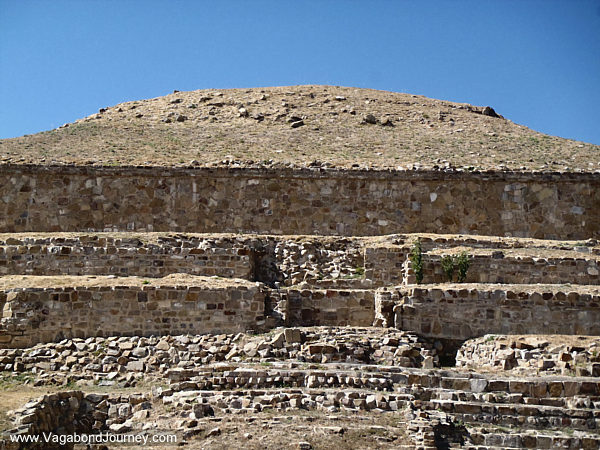 Archaeology sites and ancient cities are often positioned in places that have a good view of the surrounding area, places that are somewhat difficult to access — on mountain and hill tops — and these locations often served to fortify them against the ages. No, mountain tops are often not prone to sprouting high rises or suburbs or large cities when there are other, flatter and lower laying options available. It is often only when we have no other place to build that modern humans send their backhoes and cranes up hill. If you travel through the stretches of the planet where civilization spans back the earliest, you will often see people still living in cities and villages built on hilltops, on ridges, in the highest places available rather than on low laying, flat areas where we focus our population centers today. The lowlands were for cultivating, the prime living/ defensive real estate was, apparently, on any hill that could be built upon. Ancient fortification have now become modern convention. I suppose 10,000 years has not yet been enough time to get these people to come downhill. 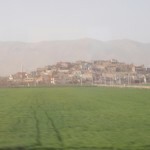 One of the most surreal sights in travel is going through southern Turkey or Iraq and looking out for miles and miles across empty flatlands and then coming upon a densely packed ancient village hanging off the side of the only hill around. 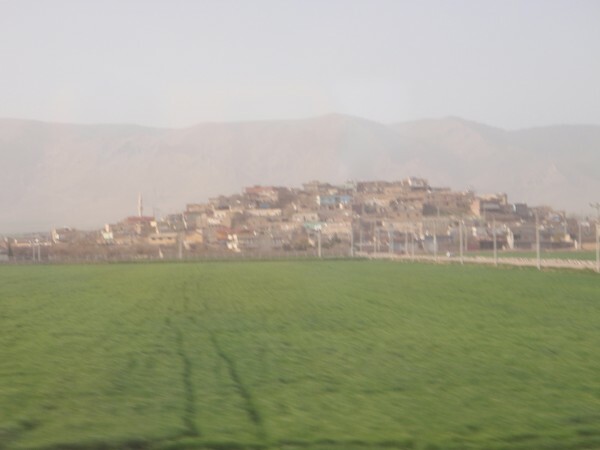 Amadiya is build on a high plateau in the north of Iraq. It looks good up there. 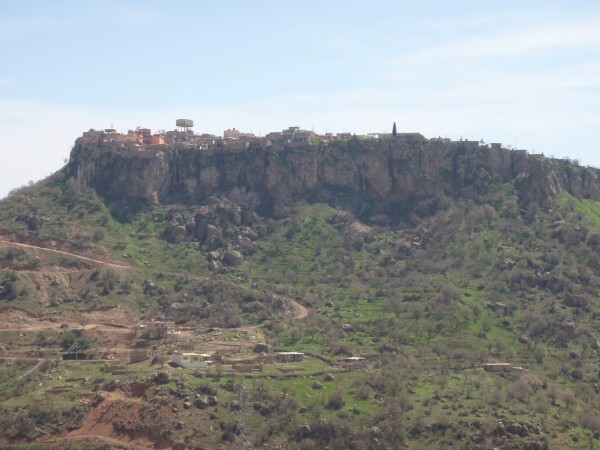 Village made on hilltop in southern Turkey. For miles and miles around there is only flat agricultural land. It is perhaps a beneficial that the ancient people often built their most prized place on hilltops, ridges, and in the mountains, for if it were otherwise they probably would have joined the rubble that extends deep beneath many modern cities hundreds of years ago. Our building ethos have changed, as relatively few populations in this world fear marauding bands and the airplane has rendered hilltop fortifications a mute point — we now build in the valleys, the lowlands. As thus, we tend leave the hills be when we can, and many archaeology sites have been preserved through this neglect. 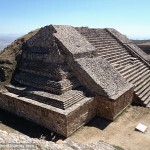 Monte Alban in Oaxaca is one of these. 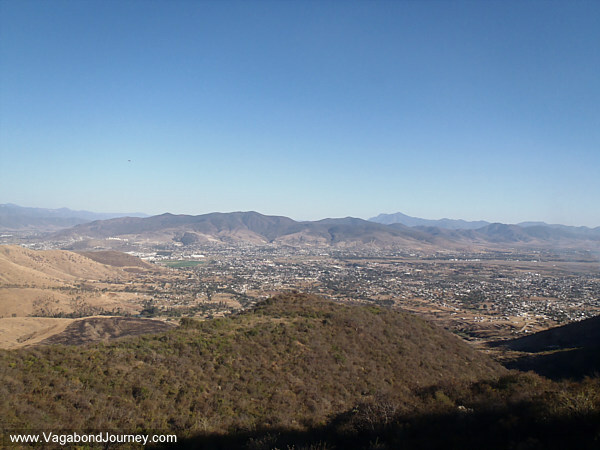 The city was set up and built on a lone standing mountain ridge jetting up from a spacious valley below. 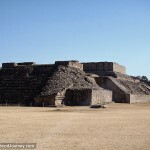 It is one of the oldest archaeology sites in Mesoamerica, dating back to 500 BC. 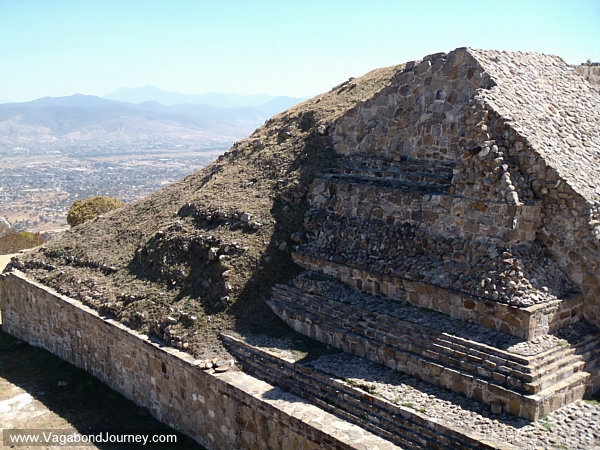 Inhabited for around 1,000 years, the city served as a base from which an expansionist polity extended its reign out through what is now the state of Oaxaca. 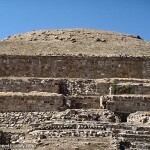 One one of the prime structures in the center of the site are petroglyphs which depict the conquering of various other city states in the region. 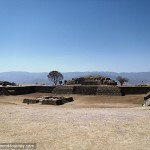 When the Zapotecs at Monte Alban would win another city, a portrait of their ruler would be carved upside down upon the victory wall. 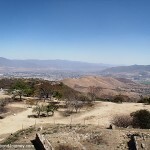 The ridge top city of Monte Alban was said to have been a ceremonial and civic site. The only people who are said to have really inhabited the mountain top dwelling were the nobles, the scientists, and the priests. Everyone but the elite had to live downhill. 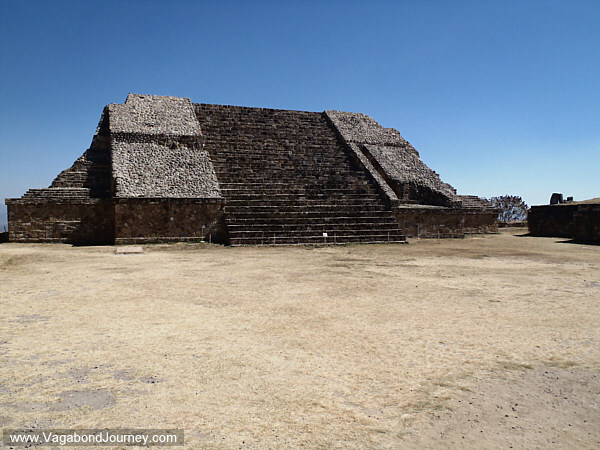 What the visitor sees at Monte Alban are mostly reconstructions done under the coordination of archaeology and architecture teams subsequent to and even during excavation. The photo above shows a structure where only one side has been restored. 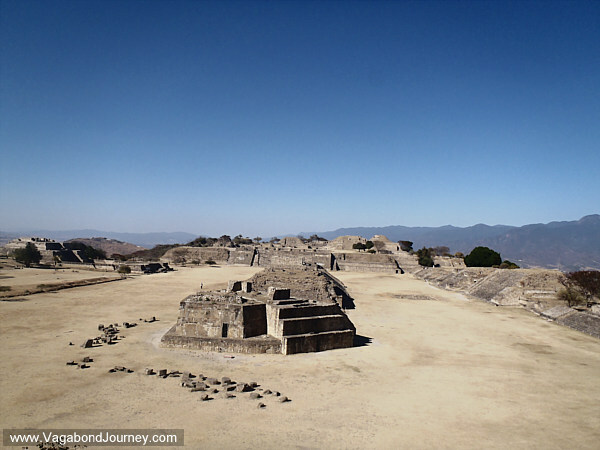 What is evident on the left side is what all of the structures once looked like at Monte Alban — big piles of soil, vegetation, and stones. While working as an archaeologist at Copan in 2008, I was able to observe how this restoration process occurs. In point, a block of stone is lifted out of an area, it is cleaned, its proper location is delineated, and it is set back in with mortar. Like this, entire structures come back to life as they are uncovered and repossessed from the ages. 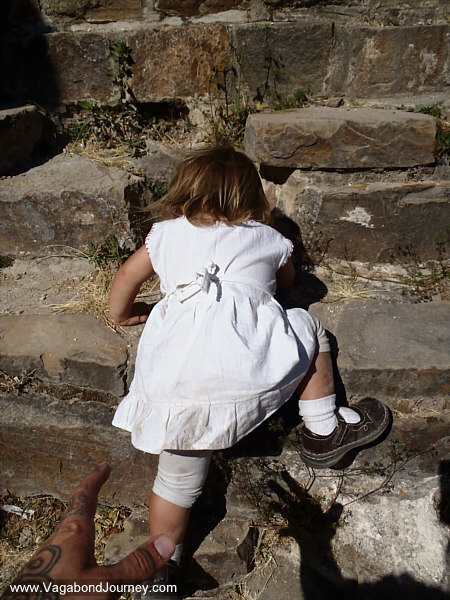 Petra Shepard climbing up a structure at Monte Alban. 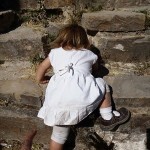 This is a photo of my daughter, Petra, climbing up a rock face at Monte Alban on her own volition. Much of this site has been restored to the point that visitors can securely walk up many of the structures without doing them much damage. This makes for some pretty amazing places to sit and take in the views. 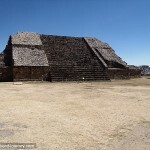 Comment directly on photos from Monte Alban by clicking on the thumbnails below. 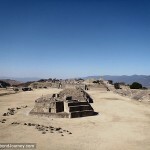 This is a beautiful view of Monte Alban. Wow! This really reminds me of Caral-Supe in Peru! Very beautiful. It is neat how so many of these sites were built in truly amazing places. What are some of the other practical reasons for building on hills? I would think a few of these would be to avoid Malaria Mosquitos, ticks etc, floods, grass land fires, hot humid windless weather, etc. I would think some of these would be valid also today, but modern man often thinks he is above the natural law, teh natural order of things. I would think that you nailed it here. 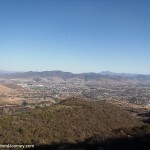 But today, it seems as if we would rather dam up the rivers, poison the mosquitoes, fight fires, and face hotter weather than to walk up a hill every day. It’s amazing how much the landscape changes from the wet season to the dry season. I barely recognized the same site and the valley after all the grass has died. Here it is in the wet season. That is really amazing. It is funny how in travel your complete impression of something is how it was when you observed it without regard that it could change. That is truly a remarkable difference from what I observed.